We’re not even eggs-aggerating when we say this was one of the most fun projects we’ve ever created for our blog! 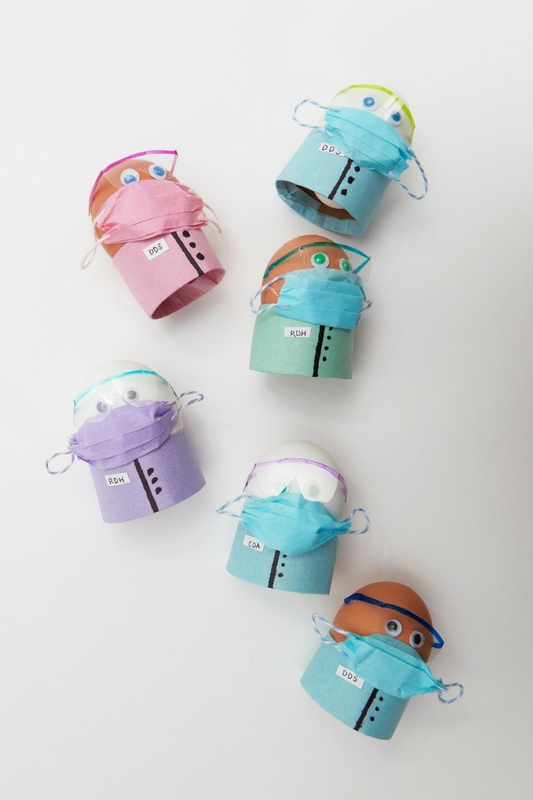 Besides being amazingly cute, this craft has given us the necessary justification to use a bunch of egg puns, which we hope will “crack” you up.🥚😜 Read on to learn how we made these egg-stremely cute dental Easter eggs, to see more adorable images, and to hear more deplorable egg puns. Click any of the images below for a larger view! Meet the team! This particular practice features a half dozen eggheaded employees including doctors, dental hygienists, and certified dental assistants. 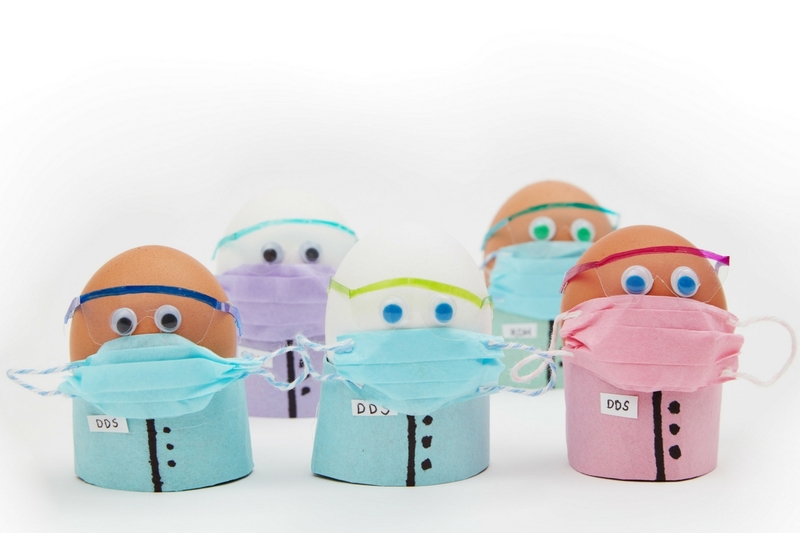 They are all setting eggshellent examples by being outfitted in accordance with proper infection control guidelines, including the appropriate personal protective equipment. Hard boiled eggs – allow them to cool completely before crafting. 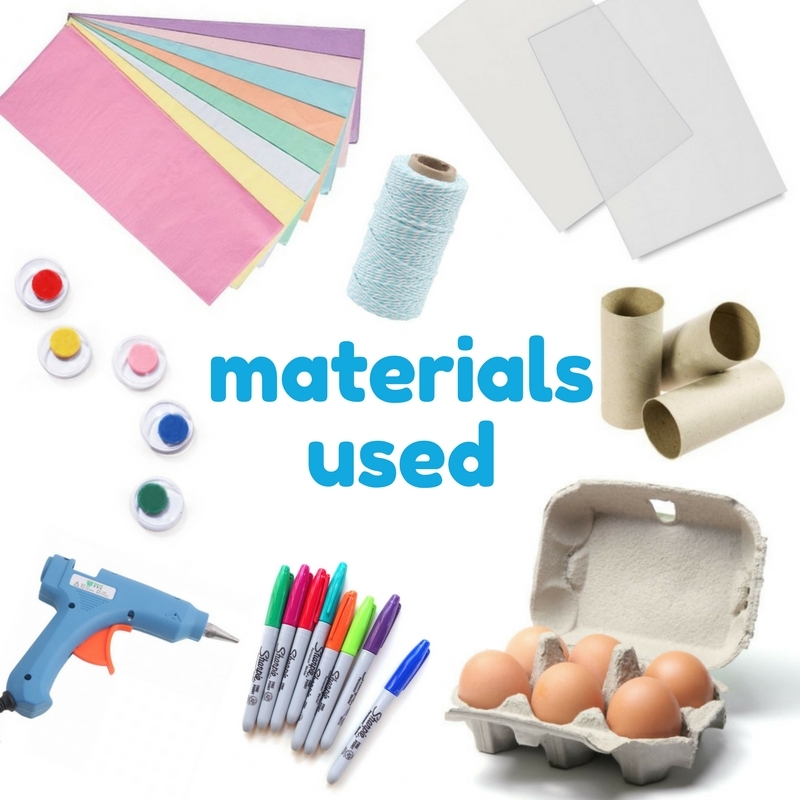 Toilet paper rolls – these were cut into smaller pieces and used as egg stands. 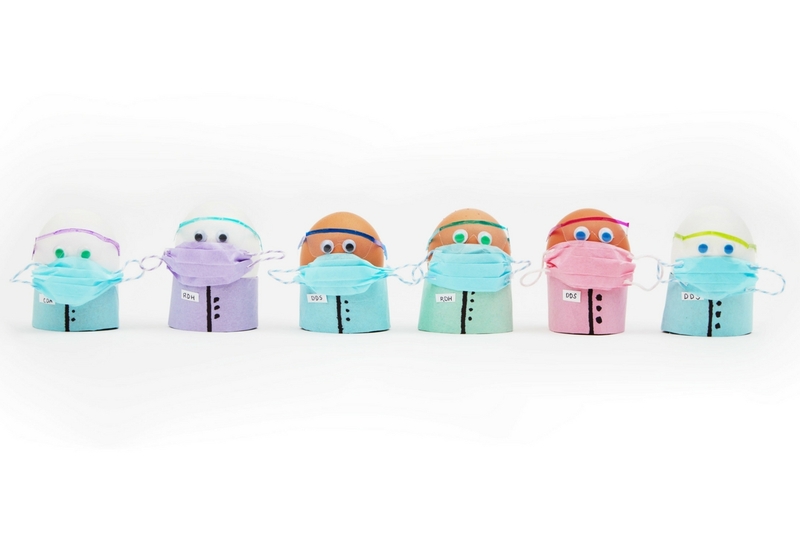 Tissue paper – tissue paper was wrapped around the egg stands to make the scrub jackets. It was also used to form the masks, by cutting and folding small rectangles. Baker’s twine – this was used to form the ear loops on the masks. We used glue to attach the twine loops to the tissue paper rectangles. Googly eyes – we tried both standard and multicolored options. Multicolored googly eyes would be perfect for modeling your eggs after particular team members. A sheet of clear polyester – this is the material that the miniature protective eyewear was created from. We used these sheets to cut our glasses down to size, but this supply can also be found at your local craft store. Sharpies – a black Sharpie was used to add detail to the scrubs, and various other Sharpie colors were employed to customize the miniature eyewear. Once the individual pieces have been egg-sembled, it’s so fun to egg-cessorize these little guys. 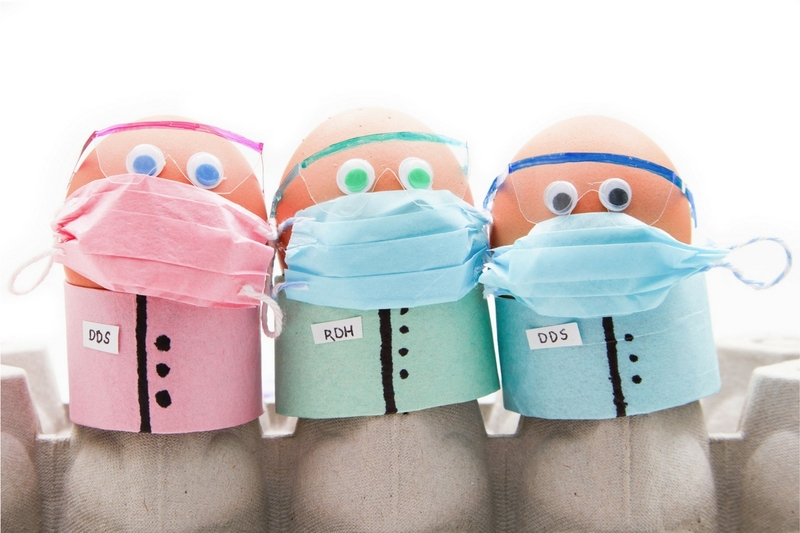 Some eggs like their masks and scrubs to match, while others prefer their wardrobe a bit more…scrambled! 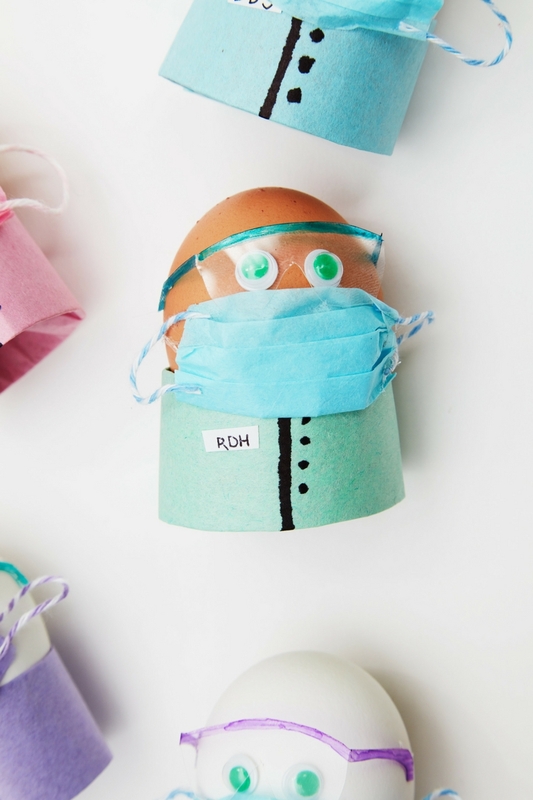 Game OVA: these are the cutest Easter eggs you’ll see all year! It was scary laying the eggs on their sides to snap this photo, but well-worth the whisk! 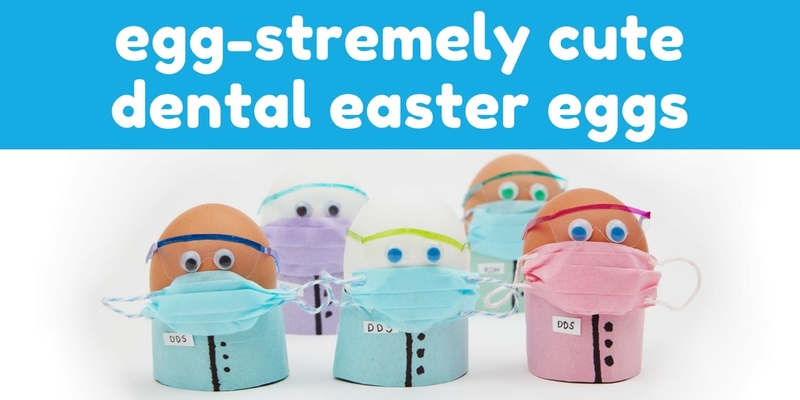 This dental hygienist egg loves showing off his sunny side! So that’s it, in a nutshell! Er…eggshell. Do you plan on dying eggs this year? Will you give this project a try? Let us know in the comments below. 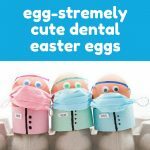 And if you do recreate these dental Easter eggs, don’t egg-nore us on social media: Tag us @offthecusp on Instagram, or @PattersonDental on Twitter! Cute idea! However, this email was received 4-17 and not in time to carry it out for Easter. Hi Lea, thanks for stopping by and sharing in the fun of our egg idea! The best way to make sure you’re seeing all of our new blog content on the day it’s published, would be to subscribe to OffTheCusp – there’s a subscribe button in the top right-hand corner! I just saw these as I am looking for things to do for the spring. They are a MUST do. Thank you!